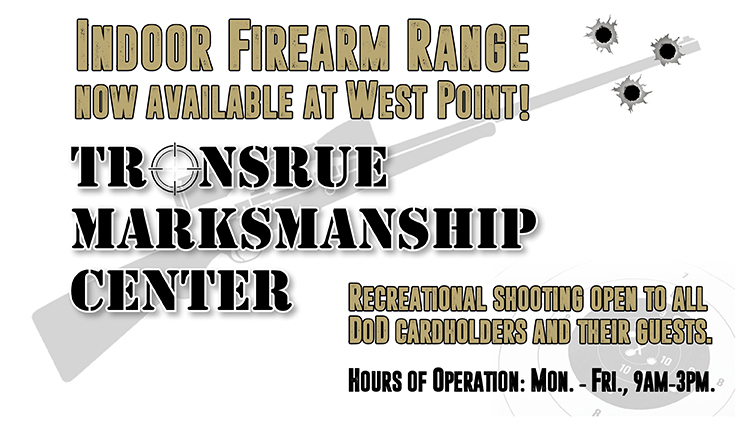 Indoor Firearm Range now available at West Point! Recreational shooting open to all DoD cardholders and their guests. Hours of Operation: Monday-Friday, 9am-3pm. Gun rentals, ammunition and targets for sale! For more informatioin and to register, visit Bldg. 655 today!